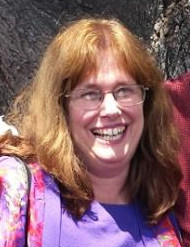 Diane Goetz, taken 6/25/2014, two days before the hemorrhage. Yesterday morning I woke up to devastating news. Someone who has been a big part of my life for the past three years had a brain hemorrhage and was pronounced brain dead and was later taken off life support. Like my freshman year when she drove me and three other high school students up to Camp Marston for YDI and would randomly start laughing for no apparent reason — and no explanation either. I didn’t really know her then but it’s one of my fondest moments with her. Or this past May at the Excellence in Prevention award ceremony when I got to sit down and have dinner with her and talk about plans for next year and about all the things she had done in her life. She was so full of life and happiness and so selfless in everything she did for me and others. Her classroom was always open for anyone who needed a place to go and she had this way of making people feel comfortable enough to talk to her whenever. I remember when she gave me her phone number and told me to call her if I ever needed anything, she didn’t know it but I was having a rough day that day and she made it so much better with that simple act. It’s selfish to cry but I am completely heartbroken. Mrs. Goetz taught me so much about myself and believed in me and my ability to lead FNL and Link Crew even when I didn’t even believe in myself. This has been very difficult to write and I wasn’t going to write anything because the grief was too much, but I didn’t think it was fair to Mrs. Goetz because not everyone had the honor and privilege of knowing her, but I don’t believe this conveys how truly amazing Mrs. Goetz is. I’m going to miss her so much. She has been with me every year of high school and senior year is going to be tough, but I hope to make her proud. You will always have a special place in my heart Mrs Goetz, may you rest in peace. I just found out that my high school government & economics teacher Diane Goetz passed away from a cerebral hemorrhage. Mrs. Goetz and I both shared a genuine interest in politics; we even started a Political Science Club together so that students could discuss current events on campus. I admire her strong political convictions and civic knowledge (even though I’m not a Republican anymore :P). Economics was a hard subject for me, but she helped me get through it. There’s no way I would have passed my AP/IB exams without her. If I get accepted into a PhD program and become a college professor someday, I hope to be half as good a teacher as she was. I’m extremely upset that she’s gone. My condolences to her family. Truth be told I had been avoiding writing a post like this for quite some time. I didn’t want to believe that Mrs. Goetz had passed. But with the fact that I’ll be out of town during Mrs. Goetz’s memorial service, I figured I should find another way to share the wonderful memories I’ve had with her. I saw Mrs. Goetz just about every day since sophomore year in high school. She was the new Key Club advisor and I worked very closely with her as a treasurer with things like membership dues, depositing money, and working with the club. Mrs. Goetz was always there to help me with things that needed to get done, and she was incredibly supportive. If on the off chance we both didn’t quite know how to do something, we would work during lunch or after school figuring out how to do it ourselves. In my junior and senior years of high school I became the president of the club and, even if I wasn’t going in her class for key club related things, I was in there just because I felt comfortable and welcomed in the environment that she created. I think it was because she was always there for us. Her classroom was a home to a lot of us that ate there, studied there, or went to meetings there. If she knew we were struggling in economics, she would go out of her way to help us study on Friday evenings and Saturday mornings. She would also be willing to sit with us during board of director meetings on Friday afternoons when most would be itching to get home. She was dedicated to her students and passionate about their success and activities. These were also the years in which I really got to know Mrs. Goetz. I would enter and exit her class always met by laughter, a laughter so genuine and smile-inducing that it was special. Mrs. Goetz believed in me. I remember when someone joked about my position in Key Club. I didn’t think much of it, but Mrs. Goetz pulled me aside the next day and told me how great a leader I was and that she was proud of me. It was a kind of reassurance I’d never gotten before and it meant a lot to me. I think she believed in all of her students like that, knowing that they’d get good scores on IB and AP tests. Before we left for summer, the club had a banquet celebrating our year. We all felt that we needed to show Mrs. Goetz how much she meant to us, and so we presented her the “Advisor of the Century” award. I hope that’s still around somewhere for all to see. Lastly I’ll share this picture of the club and Kiwanis get together. Mrs. Goetz was always smiling like this. Me and I’m sure all of the Bonita Vista key clubbers will miss you greatly and thank you for all that you’ve done for us. Rest in peace. Ever since Diane Goetz passed away a few days ago, I’ve spent a lot of time thinking about her. It’s been 6 years since I was her student in AP US Government & Economics, but I remember her like it was yesterday. Mrs. Goetz was one of the few teachers at BVHS that was genuinely passionate about the subjects she taught. She invested hours upon hours watching the news, reading the newspaper, and studying academic journals. She possessed an extensive amount of knowledge about politics and economics; she could’ve given the anchors on C-SPAN or the Nightly Business Report a run for their money. She was a voracious reader and learner, qualities which she inadvertently passed on to me. Although she was notorious on campus for being a “staunch Republican”, liberal students still loved her. She did not fit into the liberal stereotype of conservatives — she was very compassionate and embraced diversity. Mrs. Goetz and I came from very different backgrounds; she was a white conservative Christian and I was a Mexican libertarian atheist. But that never mattered. I always felt safe, comfortable, and accepted around her, which was important for me because I didn’t have a great support system at home. I was one of the most economically disadvantaged students in her class, but since she treated us all equally, I never felt that way at all. Economics wasn’t really my strong suit. I found it to be painfully difficult and boring, and on top of that, I had an attention disorder that I wasn’t being medicated for. I struggled with her class; I was not one of her top students by any stretch of the imagination. But Mrs. Goetz never gave up on me. She would stay after school tutoring me for several hours at a time so that I could keep up with the class. She’d often have to explain concepts to me more than once. But she never made me feel stupid about it. She always chose to focus on my strengths instead of my weaknesses. She knew that I loved science and information technology, so she had me do research projects and make powerpoints for her government class. By the end of the school year, I earned A’s in her classes and passed all of my AP/IB exams. If I would’ve had a different economics teacher, I probably would’ve failed the class, flunked out of high school, and be working at McDonald’s. But today, I’m close to finishing two STEM degrees at UCSD, and I can only imagine how proud of me she would’ve been. Throughout my entire academic career, Mrs. Goetz is one of the most memorable teachers I’ve ever had and I’m very sad that she’s gone. May you rest in peace, Mrs. Goetz. My best friend in high school just passed along the blog post you wrote about your wife. My condolences. I took her senior Econ Class at Bonita Vista High School around 2000. That year was especially rough for me. I was having suicidal thoughts, and my always straight A grades were plummeting. Thankfully, due to the intervention of some of my teachers, I was referred to the school counselor, which ended up into getting into therapy, because I really had no one else to talk to. While the road after high school was equally dark, I have since righted the ship and have a lot going on for me. I’ve held the same job for 8 years, I’m able to practice my art of writing, and I’m six years sober and incredibly active and of service in my recovery fellowship. Econ was especially rough for me. The concepts behind it all was so confusing, but I really had a lot of fun in your wife’s classes with my friends. When things were really rough for me and my grades were suffering, your wife was nice enough to tutor me a few times after class to help me out and get me back on track. Overall, the kindness and care that I experienced from a few of my high school teachers has saved my life, and has also laid out a blue print of being of service to the people in my life today, as they led by example. I only wish I could have gotten the chance to go back to San Diego and thank your wife person for all of her help during that really difficult time for me and let her know I really did turn out okay. My thoughts and prayers go out to you and the family during this time. I am a former student of Mrs Goetz’s (graduated 2009) and wanted to send my sincerest condolences. I know myself and my 2009 classmates were heartbroken to hear she had passed and we all had fond memories with her. Do know that her students are very sorry and we send you and your family out best. On my first day of Econ with Mrs. Goetz, she showed us a picture of a bunch of black spots on the overhead projector and said “how many of you see a cow here?” The picture had the outline of a cow taken out so that it was only black spots. I did not see the cow, but when she mentioned it, I looked a little harder and saw the outline that would’ve been there. But it took her telling me it was there for me to understand. “Some of you will naturally see the cow in economics, and others won’t, those of you in the second category should take a different approach and I will show you.” Since I was an Econ student who didn’t naturally see the cow metaphorically, Mrs. Goetz showed me. She was patient, effective, and kind to her students and made sure that nobody left the room with only seeing black spots on the projector. We all looked forward to her class and were grateful to have the caliber of teacher that we did. Every day she came in and smiled at us, even if we misbehaved and didn’t deserve it. She look underdogs under her wing and helped the strong students grow. She was even-handed, caring, brilliant, and maternal. You could tell she loved economics and that she loved her students and wanted to inspire us. And she did. That is something we really thank her for. The role she played in the International Baccalaureate program was one of great value. The classroom she occupied with such presence, grace, and strength will always feel a bit emptier without her there. As an alum, I will be sad when I visit Bonita to not be able to pop my head in and disrupt her 5th period with a spritely hello from a Bonita alum. But I will think of her and be grateful to have had such a wonderful teacher. This entry was posted in Deeper Life, Humility, Servanthood, Testimony. Bookmark the permalink. Oh, my friend, what wonderful tributes to Diane! I know those can never, ever take her place, but I do hope that you and your children can find comfort in the knowledge that she such an effect on young lives. Truly, we are on this earth but a few short years, but our impact can go on for many years after. It sounds as if that will certainly be the case for Diane. Sending much love and many blessings your way. Brother. It’s the way of life and of circumstance that we rarely comprehend the depths of the impact that unselfish sacrifice has in the lives of others. I’ve seen that unselfish sacrifice in your life as well as the testimonies in regards to Diane. It was a blessing to attend her memorial and it will be the same when the time comes that we celebrate the marriage supper of the lamb together. I took AP Econ at BVHS with Mrs. Goetz in 2004 and she’s one of the best teacher’s I’ve ever had. She honestly taught me to love economics and go on to study it in college. I’m sad to hear of her passing but I wanted to say that she made a genuine impact in my life. I was also one of the underprivileged kids who went to Southwest Jr. and I can assure you that having quality teachers makes a huge difference to the kids who need it. I don’t think I ever told her just how much I appreciated her, but I hope she knew just how much impact she made in young people’s lives. Contract Analyst at Aerospace Engineering firm with DoD and NASA Contracts. Thank you for your gratitude for Diane’s effect on you, Lucy. I’m sure she understands that you might not have expressed your appreciation to her. She was a mom, and moms are like that. She loved you guys sooo much.